The spring edition of the city’s best-loved, late-night art party is here. FUSE: Gestures takes over the Vancouver Art Gallery on Friday, May 10, from 7:30 PM until late. For this signature event, guests will step into an electrifying evening of visual art, music, and performance harnessing the power of gesture in various creative forms and expressions. In dialogue with the Gallery’s spring exhibitions, FUSE: Gestures features artists who alter perceptions and awareness of body and self through diverse experiences and encounters. Opening FUSE in the forecourt, hip-hop, rap, and soul artist Missy D will light up the night with her exciting blend of old and new school urban music with jazz. As seen at South by Southwest Conference in Austin and JUNOFest, Missy D is a “femcee” whose music draws from a mix of African cultures. Kiran Bhumber will also share her own response to Moving Still, as she moves through the galleries outfitted in her self-made, reactive bodysuit, exploring how cultural memory is transmitted, stored and retrieved through the body. Danielle Wensley is an artist with a disciplinary background in dance whose work oscillates between static and active forms. At FUSE, Wensley will address themes around feminism, body politics and rhythm as they relate to the exhibitions Displacement and Views of the Collection: The Street. In partnership with New Forms Festival, known for assembling cutting-edge electronic acts, the FUSE Artist Bar will become a hotspot of immersive sound as well as captivating visual projections by local acclaimed media artist Nancy Lee. Founded in 2000, New Forms Media Society is a non-profit society and media arts organization that nurtures and connects Vancouver&apos;s creative scenes with artists, thinkers, practitioners, and audiences from around the world through the annual New Forms Festival. 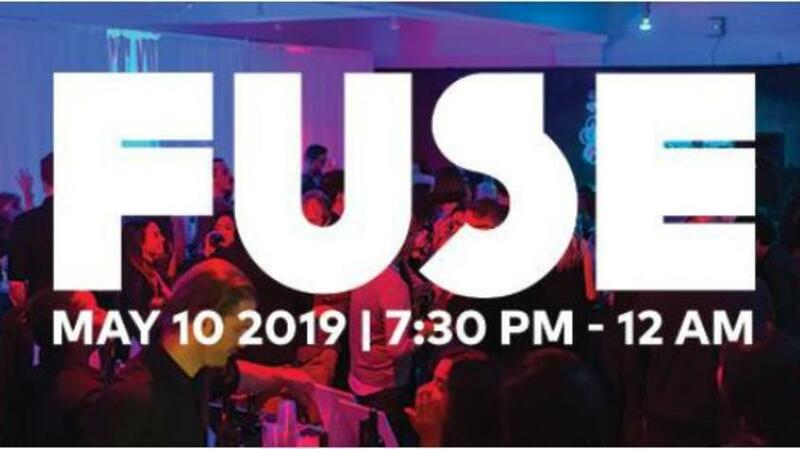 The FUSE Artist Bar will kick off with a queer-friendly, hip-hop and rap-infused set by DJ Softieshan, and conclude with a headlining performance by Evy Jane. With her “femme-forward” sets, Softieshan has quickly become one of the city’s favourite DJs and event producers. Evy Jane is the songstress on label NinjaTune, best-known for her 2012 EP King Deluxe. Tours of the second floor exhibition Mowry Baden will be offered throughout the night. With educators on hand to share insight into the mind of this innovative artist, guests will be encouraged to test out Baden’s participatory works, from reconfigured industrial devices to purpose-built rooms in which ping-pong balls ricochet off the walls. FUSE: Gestures is curated by Simranpreet Anand and Stephanie Bokenfohr.